I’ll agree that to a great extent CCN was given exposure throught Dave Congatons’s advocacy. It is his show as and his performance was impeccable, nearing the brillance of good old Rush minus the ridiculousness. Although I do not always agree with Dave’s opinions, he always affords all view points to have their day on his show. 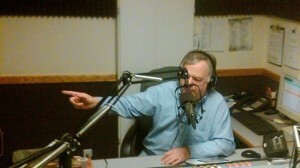 One example was Kelly Gearhart who would have served himself best by just pleading the 5th on Dave’s show. I have great respect for law enforcement and the need to protect their safety. CCN may have rattled this balance and that’s not good but the public does have a need as well as a right to know what is going on. Better communication may have avoided this unfortunate position taken by the Staff, the people that can control what we know, how we vote and become good citizens of THIS country. I don’t believe you’re quite right about Dave “affording all view points to have their day.” I don’t recall anyone from CWS being on Dave’s show and, when callers began to express skepticism about what they were hearing, Dave would loudly talk over them before cutting them off and moving on to a more sympathetic caller. Question: Was CWS invited but declined, or were they even invited? Dave? You’re so off base. Go listen to Daves show from December 4th. A caller named Rose got more time than anyone by far and she was supporting CWS all the way. Dave never once tried to cut her off and he gave her respect the entire time. Unresponsive to my question, Cindy. I’m sure it was by their own choice. Mention Dave or CCN to most any government employee, and the knee-jerk reaction almost unified. In fact, several friends of mine (who are government workers – high and low-level) all had very similar words in their responses about Velie and CCN. Ironic. Does not matter to them that CCN (and Karen) have been proven right so often in the past when “uncomfortable” articles come about. Sorry if you’re taken out of your comfort zone, but sometimes it needs to happen. Wow, and here I thought it was illegal for the powers that be to suppress the press, who knew? Well, the don’t have to suppress the press if the press is willing to suppress itself, which ElDorado apparently is willing to do. Oh joy. Now we will have the radio equivalent of the Tribune. I can’t wait for the Truffles the Bear interview! One way to know when an investigative reporter is ON to serious things, and not just tossing wild accusations which would be answered by lawsuits against reporter and publication, is when the heavy hitters try to erase or silence the investigative reporter. Is there a pattern here? The Velie grandchildren abduction by CPS, our so-called “radio station” barring Velie from broadcast or interview, a rogue cop stating he’d arrest a reporter/motorist for a .01 B.A.C. on a traffic stop? This county is getting pretty iron fisted here. I can hardly believe it, because while I criticize leaders on certain points of their conduct, until recently I considered it somewhat harmless dereliction of duty with a bit of corruption maybe. Now we are seeing a reporter silenced? Time for the Department of Justice, if we HAVE one any more in D.C., to investigate a Civil Rights Act situation. To belabor, a letter by Parkinson to a public media outlet of the sort that is described is an abuse of his authority, akin to something known as “prior censorship” in legal circles. He should instead run a tight ship and be ABOVE reproach for tax liens or abusive drug raids. This is enough to make an American fearful of those in power. I never thought Parkinson was up to the task of being sheriff, and this only furthers that view. I know he went to all the right places and shook all the right hands, but that does not make a good leader, just a practiced schmoozer. When the stuff hits the fan, I think I know where this guy will land. All I can say is, “Wow!” You can’t make this stuff up! How interesting, So Roy doesn’t care if her reporting is true or not ! He is simply buckling under to the local powers that be. How disappointing……..I’ll just leave it at that for now. I wonder if Roy recalls when the local PD outright lied and said that Dan Blackburn was wrong about a certain video that existed? I wonder if Roy recalls that it turned out that Blackburn was right and the cops were lying, OUTRIGHT LYING. They didn’t say that they couldn’t comment, they said it didn’t exist. It was proved beyond a shadow of a doubt that it DID EXIST when the video surfaced in our local courts. Doesn’t Roy know that Parkinson lies, like when he said he didn’t know anything about the Doobie Dozen, prior to the raids? I guess KVEC has now become part of the problem rather than the cure. Most middle managers are weasels by default (else they wouldn’t be in the middle); I see Roy’s point (such a sad namesake for yours truly), but talk about spineless. Gone are the days when good men (MEN) stood up to corruption and bullying. How ironic we have the government MANDATING anti-bullying training everywhere, when it is in fact, they who are the worst of the bullies. Did the sheriff write a sternly worded letter to KSBY as well? A small number of informed, thinking people are easier to bully than the low information masses who will not understand the entirety of the subject at hand but know how to react when the glowing box tells them a short story. A letter ? No, but perhaps a campaign advertising contract starting in 6-8 weeks.